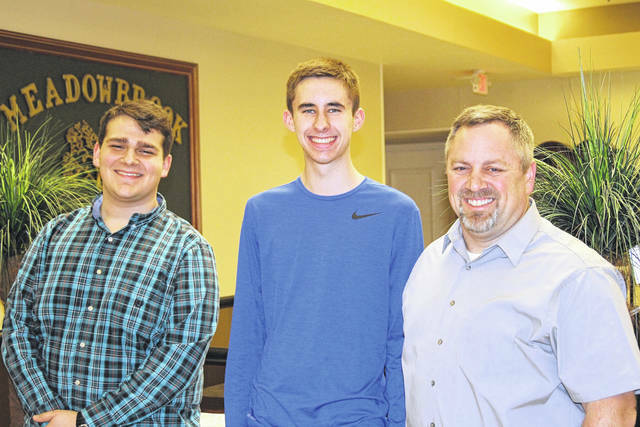 Sponsoring teacher of the Northmont Interact Club Matt Maiken (right) is joined by Northmont students Kellen Duffy (left) and Josh Hanssen (center). CLAYTON — The Northmont Rotary hosted students from the Northmont Interact Club at their most recent meeting. Interact is the high school club that is an extension of and supported by Rotary. Through this club, students are given the opportunity to serve others and learn community service. Matt Maiken is the sponsoring teacher for the club and spoke with the Rotary about club activities and upcoming fund raisers. He was joined by two students that had helped with Rotary projects and will be present for some of the future activities.